Please stop by and visit us at our new location. 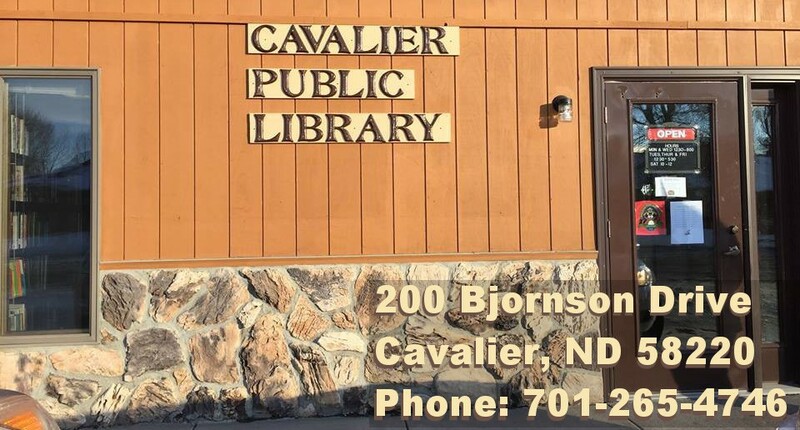 We have moved to 200 Bjornson Drive in Cavalier, ND 58220. We have many new books to choose from. We also have an ongoing book sale, weekly children’s activities and so much more! Next Now Open Monday evenings until 8 pm!